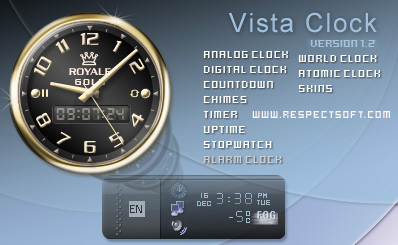 Vista Clock appears as a royale clock gadget at your desktop, with gold hands and thin second hand. You can move the gadget by dragging the mouse. A right-click displays its options. It can serve as a countdown, stopwatch and timer. It allows to set your timezone and it will appear above other applications if you wish.